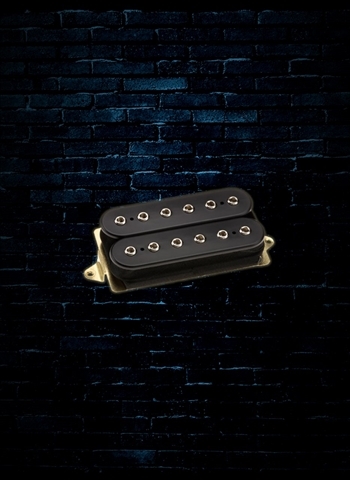 Steve’s Special is a non-traditional approach to high-output bridge humbucking pickup design. Hot humbuckers usually concentrate most of the pickup’s power in a narrow frequency bandwidth for maximum impact. Using our patented dual-resonance design, Steve’s Special takes the opposite path, spreading the sound over a broad range. Bass and treble frequencies are boosted while the mids are pulled back, so the pickup’s power doesn’t kick a high-gain amp into overdrive as easily. This makes Steve’s Special a good choice for both fast soloing and clean chords, because individual notes won’t smear together with heavy overdrive, and clean sounds have an almost "hi-fi" quality.